Below you can view all the homes for sale in the Wellington Walk subdivision located in Grayson Georgia. Listings in Wellington Walk are updated daily from data we receive from the Atlanta multiple listing service. To learn more about any of these homes or to receive custom notifications when a new property is listed for sale in Wellington Walk, give us a call at 404-998-4113. Room, Bar, Media Room, Exercise Room, Playroom, Office And Huge Workshop W/Double Doors To Outside. Great Swim/Tennis Neighborhood. Grayson Schools. MLS#6510999. Re/Max Center. Basement Is Stubbed For Bath And Bedroom Could Be Easily Finished For An In-Law/Teen Suite. MLS#6128363. Keller Williams Realty Atlanta Partners. Storage Galore On All Levels! 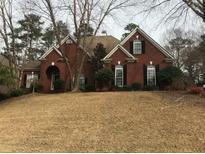 Sought After Gwinnett School District! MLS#6120893. Era Atlantic Realty.